The Hensley Arrow® is the ONLY trailer hitch guaranteed to totally eliminate trailer sway. Only Hensley can make that statement. What does the Arrow® do? It eliminates any possibility of trailer sway. That’s not a misprint or an exaggeration. It is physically impossible for a travel trailer to sway, fishtail, or jackknife when outfitted with the Hensley Arrow®. Why? Because the Arrow® is the only trailer hitch on the market that doesn’t use friction to control sway. Every other sway control device uses friction in one form or another. The problem is that friction works both ways. While it dampens trailer sway, it also hinders the tow vehicle’s ability to turn or regain control of the trailer once sway does occur. Eventually, enough side force (wind, trucks, uneven roads, etc.) will hit the side of your trailer to overcome the friction in your sway control device. At that point, the sway control device becomes a hindrance to regaining control of your trailer. A choice of car, SUV, or pickup truck to tow with. A smaller, lighter tow vehicle. Safety…. The Arrow® is the safest towing system on the road. 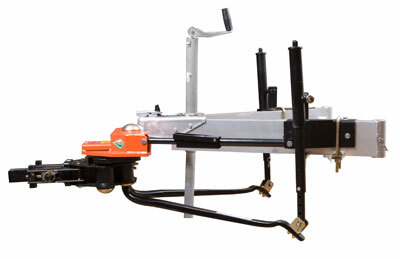 Because of its patented linkage system, it is impossible to initiate trailer sway, the #1 cause of trailer accidents. Lower fuel costs (because of less wind resistance, a travel trailer averages 1 to 2 mpg better fuel economy). Don’t take our word for it. Try it yourself for 60 days. If you’re not completely thrilled with the way your travel trailer tows with the Hensley Arrow® or Cub, return it for a full refund. Once you own it, you receive a Lifetime Warranty. You can easily transfer the Arrow® to any travel trailer, so you’ll have it for life. Click here for our free DVD and information kit.